Today, as part of a Blog Tour organized by Great Escapes Virtual Book Tours, I am happy to feature Murder Over Mochas: A Java Jive Mystery by Caroline Fardig. The third in the series, it can easily be ready as a standalone mystery. 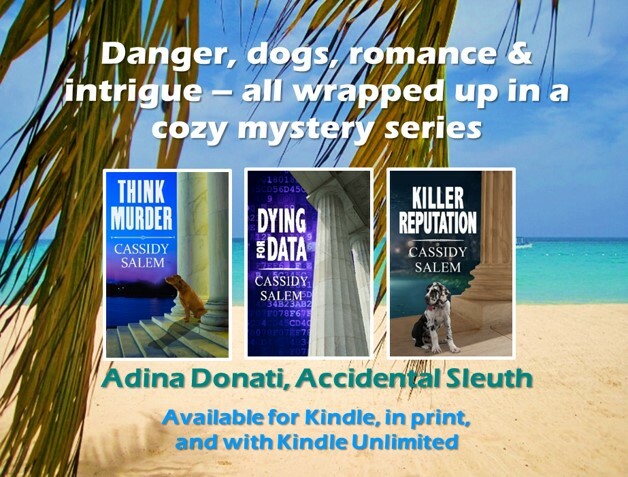 An enjoyable cozy mystery with a nice balance between romantic suspense and crime-solving. Maya is a likeable character. Her life is complicated, especially with regard to men. You can’t help rooting for her as she works together with her ex-boyfriend (who happens to be a police detective) to prove her innocence by figuring out who would want to kill her ex-fiancé and why. And unravelling the motives and actions that led to Scott’s death isn’t an easy task. You also can’t help rooting for Pete as he makes his interest in transitioning from best friends to something more clear. The story moved along at a lively pace with a satisfying resolution – on both the romantic and crime-solving levels. Another book that I stayed up way too late to finish. FTC disclosure: I received an advanced review copy of this book from the author/publisher. This has not affected the content of my review.